The Tribute 2 is a minor redesign of last year's handset that happens to also include a minimal bump in specs. This handset from LG is an affordable and simple smartphone. It's for budget-conscious buyers who don't need flashy handsets and cutting-edge technology. 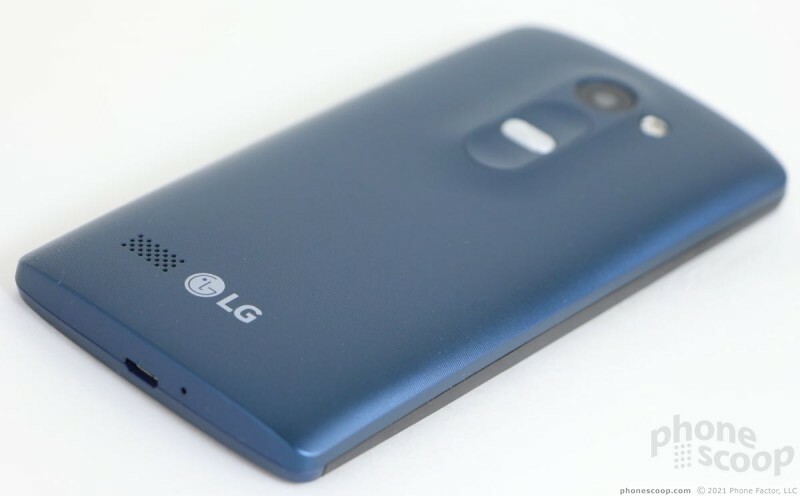 The Tribute 2 is a solid little phone that wears LG's designer genes well. The hardware has more personality than the Volt 2, despite the Tribute 2's lower status on the family tree. 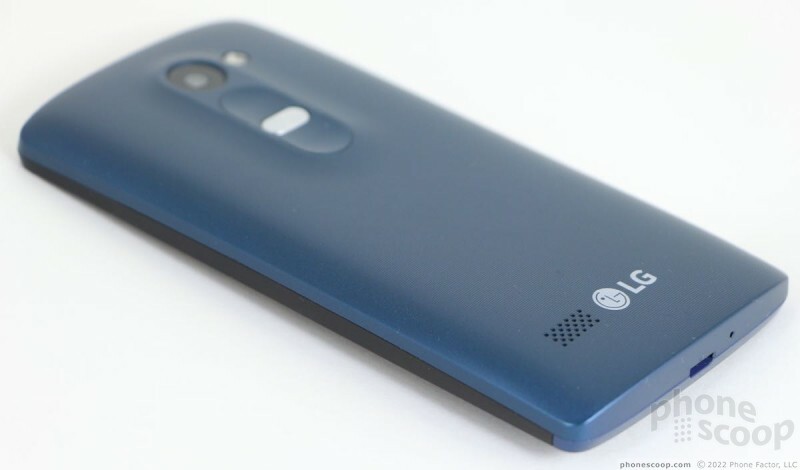 The Tribute 2, a variant of the Leon, sold by T-Mobile, is proof that LG knows how to craft an appealing entry-level handset. Phone designers offer the buying public limited options when it comes to color. The majority of handsets these days are black, gray, white, or some marriage of the three. Few offer color, which is what makes the Tribute 2 so appealing to me. 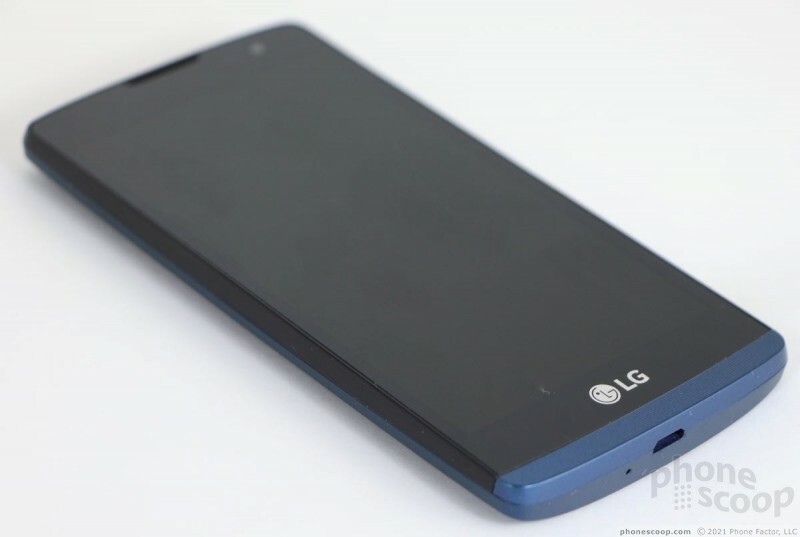 LG clothed the T2 is an attractive shade of blue that contrasts nicely with the black glass of the front. The blue has a nice shine to it; it's not glossy, but the surface catches light in a way I find pleasing. I wish the overall shape of the phone were more exciting. The curve of the top and bottom edges and the shape of the corners are pure LG. The back surface tapers a little bit towards the sides. 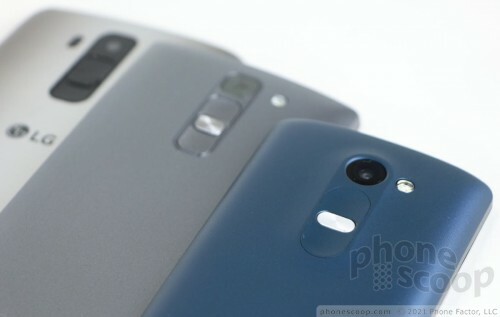 Of note, the T2 isn't curved - not even slightly - as many of LG's other handsets have been. The relatively small size is quite nice. With a 4.5-inch screen, the T2's footprint is comfortable for those with small and large hands alike. I had no trouble holding and using it. The phone has nearly identical dimensions to last year's Tribute, and it weighs exactly the same at 4.9 ounces. 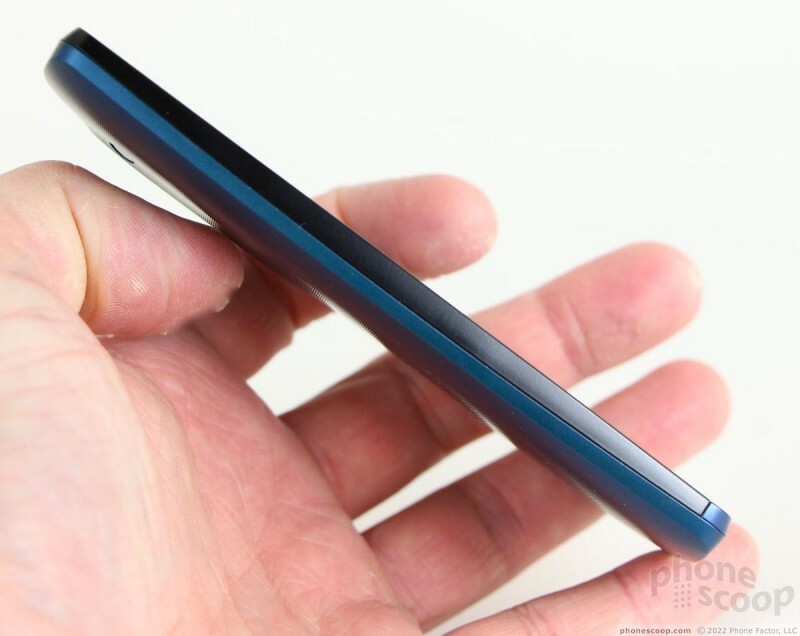 At 10.9mm thick it borders on chunky, but smaller phones tend to be thicker in order to accommodate all the necessary innards. You can still slip it into pockets with ease. I have no complaints about the quality of the hardware. The glass feels strong, and the plastic frame is solid and assembled tightly. The rear shell attaches firmly and the seams are even all the way around. There's nothing flimsy about it. Typical for an LG handset, there are no buttons or controls on the front. The T2 relies on software buttons for interacting with the Android operating system. The volume and power buttons are placed on the back surface in a cluster that has become a hallmark of recent LG designs. The Tribute 2 changes up this button design slightly, and I like it. From a functional perspective, it is the same: the raised power button separates the two indented volume toggles. 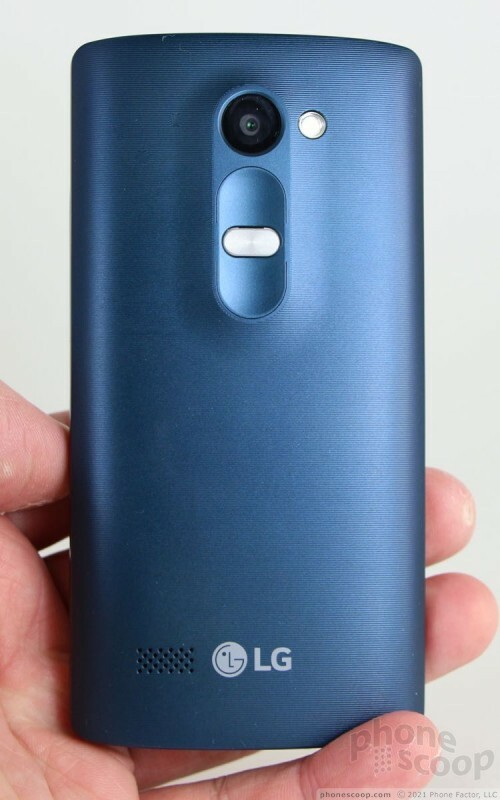 With other LG phones, a large hole in the rear cover reveals the button cluster. But with the T2, the button cluster is part of the rear shell. This gives the T2's cluster a smoother, more seamless look. The buttons work very well. The rear shell has a finely ribbed texture to it. It makes a zipping sound if you run your thumbnail up and down the surface. I found the cover easy to remove. Pulling the cover off exposes the battery, which is removable. The SIM card slot is buried under the battery, but the memory card slot is accessible without pulling the battery. 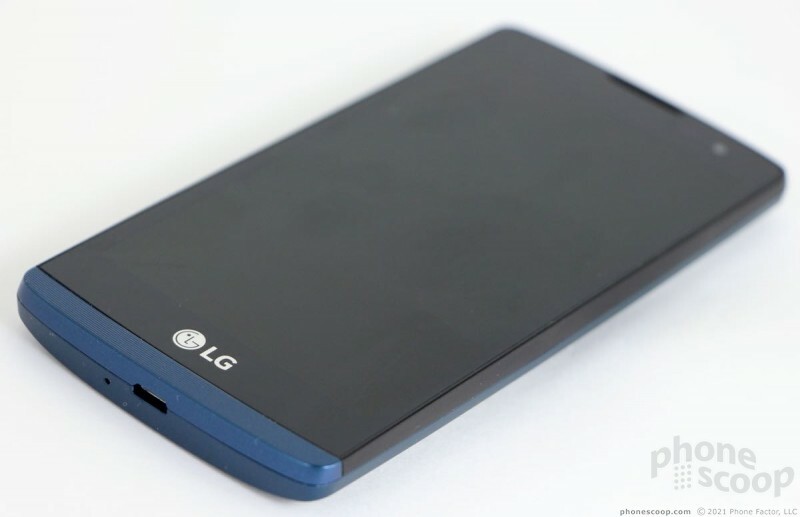 As is common to modern LG phones, the left and side edges are free of buttons and controls. This means you're less likely to accidentally turn the screen on or raise the volume. The headset jack is on top and the USB port is on bottom. There is no camera button. 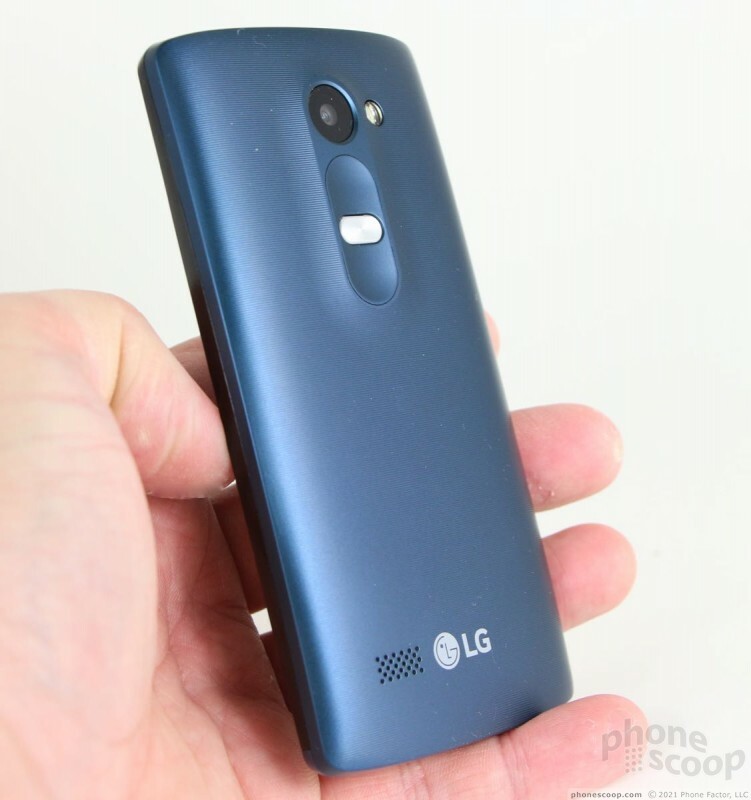 In sum, the LG Tribute 2 is a fine little phone. It's easy on the eyes and is easy to use. 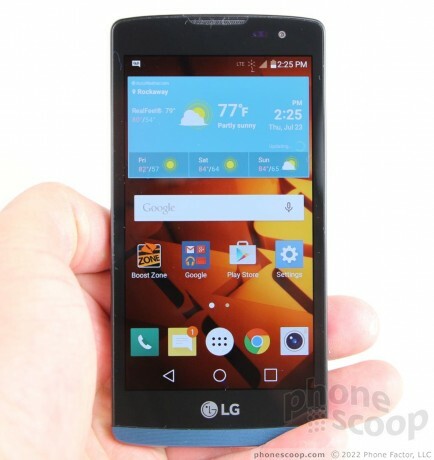 LG improved the resolution of the Tribute 2's screen when compared to the original Tribute, but just barely. The size helps keep the pixel density acceptable, but I could tell I was looking at a low-resolution screen. The LCD panel provides plenty of light for indoor use, but it wasn't so great outside. I had to adjust the brightness all the way up in order to use the camera or read emails. Viewing angles are decent; there's some brightness drop when the phone is tilted side-to-side, but colors remain accurate. It's a fine screen for this class of device. Boost service operates on the Sprint network. The T2 was able to access Sprint's network wherever I took it, but it sometimes had trouble latching onto LTE 4G even when the signal was plentiful. Technically speaking, the T2 supports way more LTE bands than the original Tribute, including Sprint's tri-band Sprint Spark service. There's no reason for the phone to run on Sprint's 3G network in the metro NYC areas, but I found it was often doing exactly that. As a result, the T2's data speeds were not as fast as I've seen on other Boost Mobile handsets, like the G Stylo and Volt. I was somewhat disappointed with the data performance. Using 3G is simply painful. This could be a bug. We've reached out to Sprint for comment. Even so, the T2 consistently connected calls on the first dial. It didn't drop any calls (even at highway speeds) and didn't miss any, either. The T2 is not a good voice phone. I was not impressed with it at all. The earpiece speaker produces reasonably good volumes, but clarity is downright awful. Voices in the earpiece are either muddy or boomy, and always difficult to understand. If you set the volume at 50%, calls are clearer, but of course harder to hear. I wasn't happy no matter how I futzed with the volume and other controls. People I spoke to through the T2 said I sounded far, far away. The speakerphone is no better. First, volume is simply not good enough even when set to the maximum. Moreover, the quality is a distorted mess. The T2 rates far below average in the call department. Ringers and alerts are just loud enough for the places you might bring the T2, but the vibrate alert is weak. Music sounds fine via traditional wired headphones. 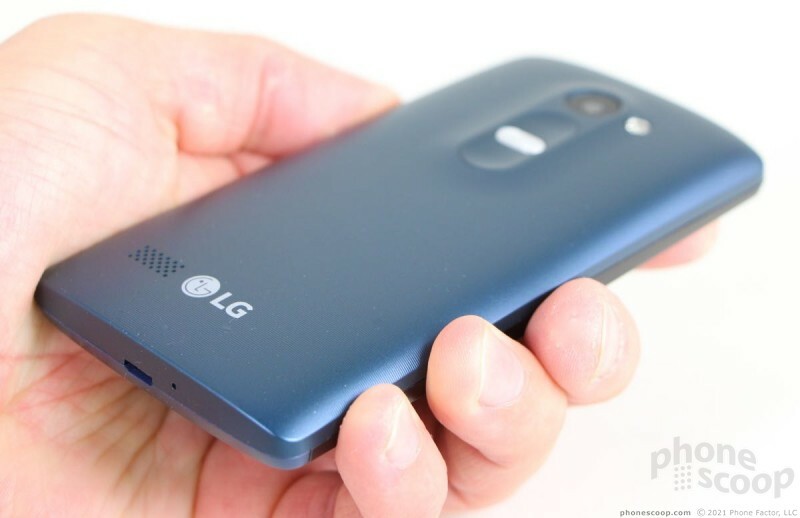 LG reduced the size of the battery from 2,100 mAh in the Tribute to 1,900 mAh in the Tribute 2. 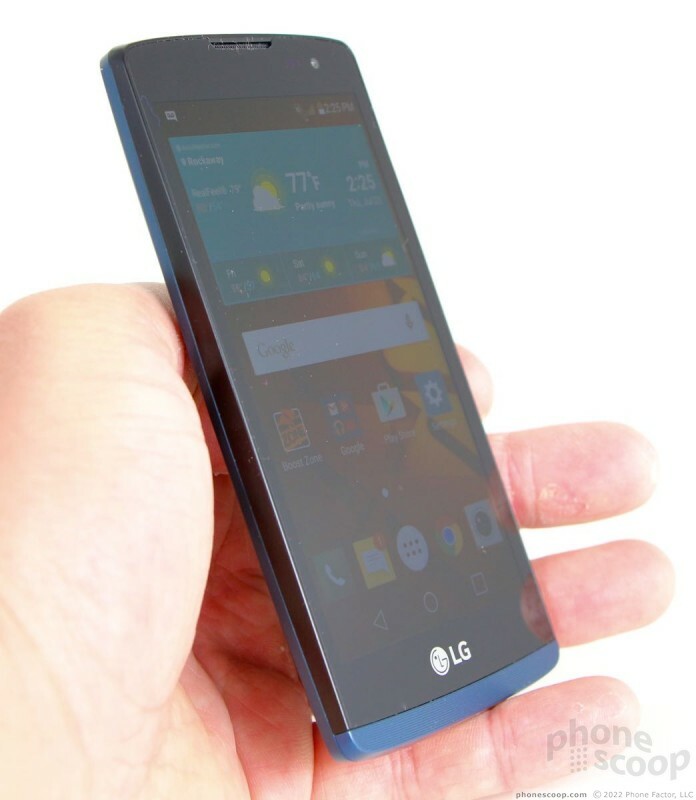 Despite the dropped capacity, LG claims the Tribute 2 offers one more hour of talk time. On average, it lasted just about a full waking day, give or take a few hours. On days when I used it moderately, the T2 held a charge from 7am to midnight easily. On days I used it more intensely, uptime dropped to something more like 7am to 10pm. That should be just enough for most people. 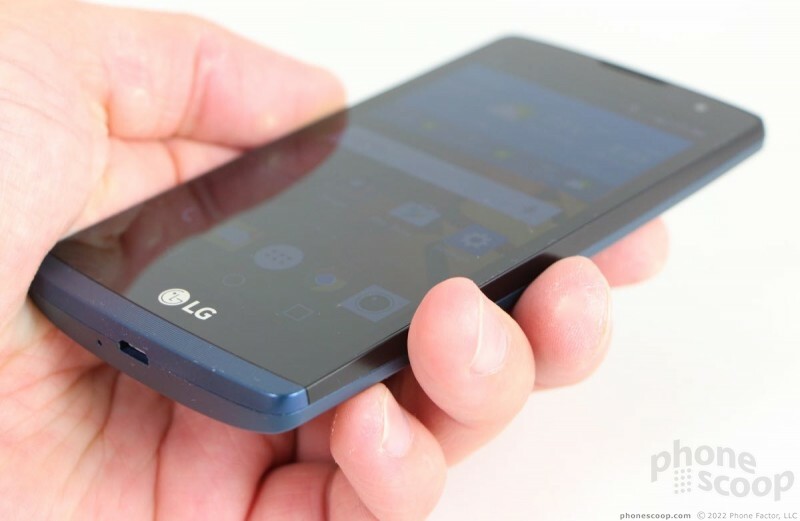 The Tribute 2 includes LG's simple battery saver tool. You can set it to come on automatically when the phone reaches 15%, or toggle it on/off manually. It limits background processes and notifications and can extend your battery for a couple more hours when needed. The T2 includes Bluetooth 4.1 with most of the standard profiles, like phone book access and object push. It supports mono and stereo headsets. I found it to be utterly useless with mono headphones for calls. It was even worse via car's hands-free system. The quality of calls via headphones or my car was pure junk. Music sounded OK via a good Bluetooth speaker, but since it lacks the aptX profile, I wasn't overly impressed. The GPS radio functioned properly, but was a hair slower to pinpoint me than other phones I've tested lately. Accuracy was as good as about 25 feet. The T2 doesn't have NFC, so don't expect to use this handset for mobile payments. I had no trouble connecting the T2 to my home WiFi network, where I was able to enjoy much faster mobile browsing and app downloads. Virgin Mobile today updated its service plans with more 4G LTE data. The entry-level $35 plan bumps the monthly high-speed data bucket from 250MB to 1GB, the $45 plan improves from 1GB to 3GB, and the $55 plan improves from 3GB to 8GB.